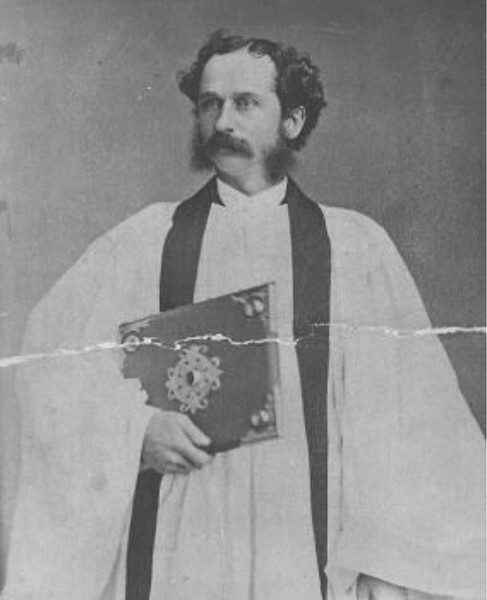 The Rev'd James Oatlands Tuttle-Smith, founded this church in 1866, having started a prayer group in 1863 when a student at the General Seminary. He then enlisted in the 7th New York Regiment as a chaplain during the Civil War, and upon return became curate of the Church of the Transfiguration. He was lent to our congregation to help form it, and in 1866 it was incorporated as the Church of the Holy Sepulchre. In 1868, James Renwick built the present building. The Father Founder was Rector from 1866-1888, when he retired to his home "Oatlands" in Connecticut. His wife was the former Frances Manice, in whose memory he gave the pulpit.